A 25km trail run. As I signed up, I said to my husband, ‘this is crazy, why do I want to do this?’. I had never run further than 21.6km and the elevation gain on this run was going to be over 700m. This was scary. Even after training hard with a lot of hours on the trails, I wasn’t sure I would be able to do this run. Self-doubt is a powerful force. Standing at the starting line, I still wasn’t sure. I’m a slow runner, I don’t ever claim to be fast, and it’s not why I run. As I’ve said before time and again, I run because I love it. My favourite places to run are trails, but all my long trail runs have been excruciatingly slow. To that end, I set myself the goal of finishing this event before the cut off time of 3 hours 40 minutes. This would be challenging for me. The first 10km was mostly downhill but the last 15km was a steady climb, with the most brutal part, dubbed ‘Doug’s Hill’ just after the 20km mark. As I stood on the starting line, I was full of self-doubt, but I knew that if I kept to my race plan, I would be able to finish. Whether that would be within the cut-off time was another question. My plan was to run 75% and walk 25% even in the early stages, so that I left some energy in the tank for the gruelling climb at the end. As I started off, it was so tempting to throw the plan out the window. Having everyone around me running full pelt at the start made me think I should keep up, but I continually said to myself ‘run your own race, stick to the plan’. This proved very useful in the later stages… but more of that later. Approximately 4km in on the Wine Shanty Track. Photo courtesy of Michael Slagter. My gorgeous family turned up at four out of the five drink stations to cheer me on. This gave me an incredible boost, and I cannot thank them enough. I first met them 5km in at Greenhill Road, where they were cheering and waving ‘go mummy’! Nothing beats that. The first 10km were fairly plain sailing. You would hope so, being downhill. I had also been working on my downhill technique during training, so I could move at a fairly good speed. I covered the first 10km in 71 minutes even with my walking breaks. Down at Waterfall Gully, a few of us stopped to help someone who had fallen down. She wasn’t in a good way, but thankfully had someone with her to help her out. As we continued on, a few of us commented how glad we were that it wasn’t us. As the ascent of Mt Osmond started, the sun started beating down a little harder, but I enjoyed the view of the city, sky and ocean. It was on the long climb up to Eagle on the Hill that I started to be glad of my run/walk plan. I felt strong walking up the steeper sections and managed to pass a number of people who seemed to be hitting a wall. At the 20km mark, it was my turn to take a tumble. I landed well, thankfully, but my elbow was bleeding. I took a moment to wash it out with water, then started the climb up Doug’s Hill. This was by far the hardest part of the day: a steep climb, requiring hands and feet to get up. Many people were stopping half way up (I also took a moment), and as you turned a corner, it just got steeper. I passed a few people on the way up, and we all acknowledged to each other how hard this was, and that we believed we could make it. Close to the finish line. Photo courtesy of Michael Slatger. One thing I can say for trail runners is that they are always there for you when you need it. Doug’s Hill had slowed my time down incredibly, so I knew I had to keep my pace up from there to the finish line. There was another 4km to go, so I tried to ignore my bleeding (and hurting) elbow and kept up with my run/walk for the rest of the race. As I came down the home stretch, my daughter and son ran the last few metres with me across the finish line. No better way to finish. Coming across the finish line with my daughter & son. Photo courtesy of Michael Slatger. Official time: 3 hours 38 mins 08 seconds. 2 minutes under my goal time! So while many people make New Year a time for setting resolutions, some of us prefer to make goals. I like to reflect on last years’ goals, see how I fared, and use that knowledge to set my new goals. For 2014, my running goals were to run the Summit to Sea (18km), then progress to a half marathon by October. I completed the Summit to Sea which was a great run. It is an untimed friendly run that I thoroughly enjoyed. Prior to that run, my furthest distance had been 12km, and this was a hilly trail run that opened my eyes to the fun of trail running. My half marathon plans were right on track until I broke my toe the night before. Overall, I’m happy with my running in 2014. I had some minor setbacks & injuries but I’ve come out the other side loving it even more than I did before. – Learn more about nutrition (I’m still struggling with this as I find it difficult to eat enough to fuel my long runs, I don’t eat sugar most of the time so it can be hard to meet my calorie targets. I often end up eating lots of wholemeal bread which makes me feel heavy). I’d love to hear of other people’s running, fitness or health goals for 2015. Please feel free to leave comments below. 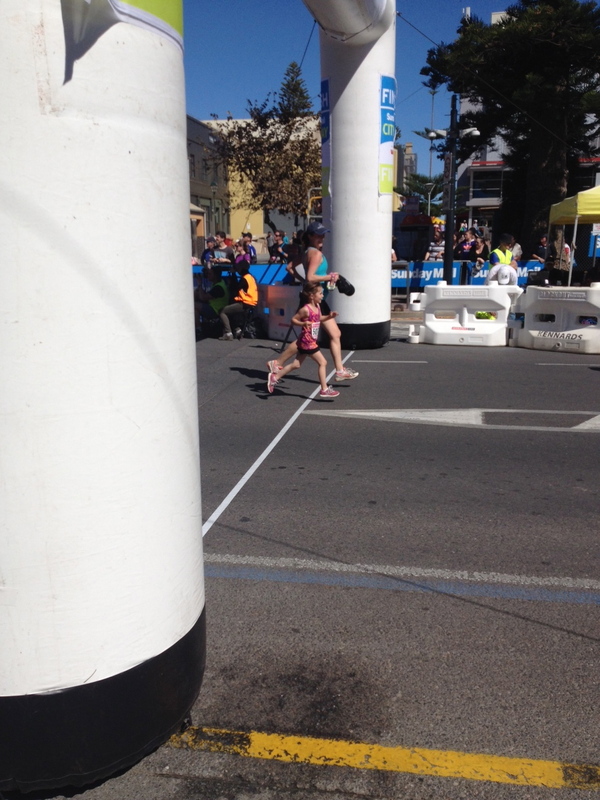 After last year’s City to Bay run, my 6 year old daughter asked if she could do it with me next time. So this year we entered the 3km together. There was a small part of me that wished that I was running the longer distance, but I really wanted to foster her desire to give it a shot. We did a 2km run together each weekend for 4 weeks in the lead up, most of which involved leaping, hurdling or doing something other than running. But that was fine, she was enjoying being out there and running (well, sort of). She was very excited at the start line. We talked a lot about making sure we drank enough water beforehand, and not going out too fast. I was a bit worried she would sprint the first few hundred metres and then not make it to the finish line. I also told her that she could walk whenever she felt the need. Before the race, we watched the 12km runners coming past and she loved pointing out all the people that had dressed up. Eventually we lined up for the 3km start, and we were off! She started at a good steady pace, and kept saying ‘Mummy, this is SO much fun’. We walked through the water station, but she was keen to keep running. At the 2km mark, I told her that she could pick up the pace a little if she wanted. And she stepped it up a notch. I wasn’t sure if she could hold that pace, but she held on strong to the final straight, which was about 400m from the end. At that point I said, ‘if you want, you can run as fast as you want to the finish’. She sprinted and I really had to push to keep up with her. She sprinted all the way to the finish line, and ended up running the 3km in 24 mins. It’s hard to see in the picture below, but she finished with a very large grin on her face…as did I! I couldn’t have been prouder. She gave it her all with determination, good humour and she’s keen for more. She’s asked to do the 6km next year, and her brother (4 years old) has asked to do the 3km, so we’ll see how we go. I was never into sport of any kind as a child, and I love that I can share my new-found love of running with them. Hopefully it is something they will take with them throughout their lives. What I learned from my 10km race. So, I recently completed a 10km race with a goal to finish under 60 minutes. I trained hard and was in a really good position to be able to make it. On race day I felt confident, and strong. In the first 4km, I followed a guy who was keeping a very steady 6 min/km pace so I thought I’d follow him for a while. My plan was to run 6 min/km pace until the 8km mark, where I’d try to pick it up a bit. At the 4km mark, the pacer started to walk, so I overtook and fell into a steady pace that felt good for me, but now I was checking my clock every few minutes to see how my pace was going. I was a slave to my watch and my splits, and I started seeing the splits get longer and longer, until I was running at a 6:20 min/km pace. The last few kilometres were uphill with a strong salty headwind, making the going tough. I started to realise that my goal for sub 60 was slipping away. I picked up but was feeling exhausted and unable to keep up the pace. This is the point at which my mind started to play tricks on me. I started questioning why I started running in the first place, thought that maybe I should give up running and find another way to stay fit, and worse of all, started to think that I should pull out of the race (at the 8km mark!). The problem was, I wasn’t having fun. I decided to stop looking at my watch, and just run as well as I could for the next two kms. My pace picked up and I ended up running the 10kms in 61 minutes, only 1 minute off my goal! After the race, I realised that I had run a personal best time for that distance, however I was still in a bit of a funk. I didn’t enjoy my runs for the next week. Only after running a nice long 10 km run in the Adelaide hills a week later, I remembered why I run. I don’t run for pace, I don’t run to win. I run because I love the feeling of being outdoors, I love to explore new places, I love the momentum, I love feeling like I can achieve something I never thought possible and I love that runners’ high that I get at the end. I had forgotten to have fun that day, and that’s why it was so hard. It doesn’t mean I’m going to stop participating in events, but I’ve realised that I’m not going to set myself time goals, as they get in the way of the fun. From now on, I run races because I love to run. Today’s event was the 2014 Summit to Sea social run organised by the South Australian Road Runners’ Club. The map and elevation profile can be seen below. This is the furthest I have run, and my right knee had been a bit stiff this week, so approached the race with caution, and a few nerves. The first 5km were great, I ran at the back of the pack trying to maintain a pace that I’m comfortable with, partly to keep some energy for later, but partly to see how my knee was going to cope. The next 5km I was feeling good, and started overtaking a few people who had slowed to a walk. By this point the scenery had moved into a narrow gully with a creek. 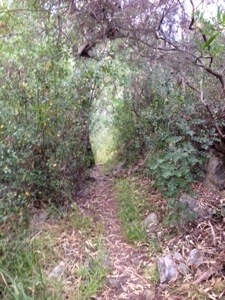 The trail was narrow but exciting, and it kept a smile on my face. There were many creek crossings that slowed my pace a little, but it was fun leaping over the creek, and onto rocks. At the 12.5km, there was an intense climb that tested my resolve. Although I had been feeling great up to that point, I felt like I wasn’t ever going to reach the top, and my legs were burning in every muscle. I refused to lose my gait, and powered to the top with a strong walk. On the way down the other side, I felt amazing, and picked up the pace in enjoyment. The thought of dipping my feet in the sea at the other end was keeping me going. As I turned the corner at the 16km mark, my cheer squad re-energised me, although at this point, we were heading directly into an intense headwind that made it difficult to keep moving. I walked to regain my energy, but then managed to finish by running (very slowly!) the last kilometre, where my kids and husband cheered and celebrated with high 5s. It was lovely to see everyone smiling at the end, including myself. Having a dip in the ocean, despite the choppy conditions, finished it off well. Grazed for the rest of the day. Clothing: Lorna Jane 3/4 pants, sleeveless running top & bra. Riaza Trail Challenge (Spain) – 20 km 3:47:17. Goal: to finish before the cut off time (3:30:00). Goal missed, but was very happy with the achievement of a first mountain run. See post here. Cleland Trail Running Championships – 24.66 km 3:38:08. Goal: to finish before the cut off time (3:40:00). Goal achieved. See post here. Bay-City – 4.5km 31:58 mins. Goal: to run with my daughter who was raising money for charity. She raised over $800 for The Smith Family. Very proud. Dolphin Run – 10km 1:05:46. Goal was to run at a steady pace and finish strong. Goal achieved. Placed 29/40 in gender category. Happy with that. Moving up the pack. See post here. Kuitpo Forest Trail Run – 21.6km 2:45:26 Goal: to finish (especially after some recent health issues). Goal achieved. Really happy with my time for a trail run. 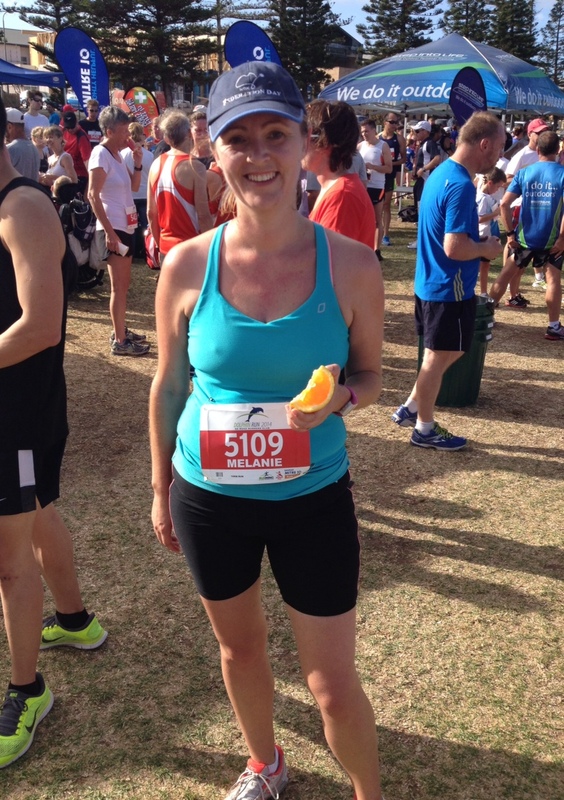 McLaren Vale – 10km – 1:04:00 Goal: I was treating this as a trial run for the Kuitpo run. 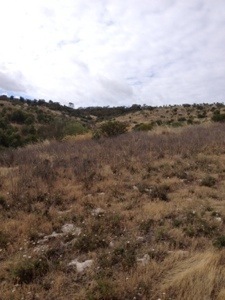 Mt Crawford Challenge – 12.5km 1:26:01 Goal: under 7 min/km pace. Goal achieved (6:53 min/km). Clare Valley Half Marathon – 21.1 km 2:30:12. Goal: to finish. Was hoping to finish under 2:45:00 so was really happy with the result! See post here. City to Bay – 3km 24 mins. Goal: to run my 6yo daughter’s first race with her. Goal exceeded! She loved it, and it felt amazing to cross the finish line with her. See post here. Dolphin Run – 10km 1:01:00. Goal was sub 60. Missed by 1 min. Summit to Sea – 18.6km 2:35:00. Goal was to finish. Goal achieved. City to Bay – 12km 1:22:00. Goal was to run start to finish, no walking. Goal achieved.